Review: The band weren't going to release it, but their growing army of fans love it and 'Don't Go Gently' has been used by BBC Radio Five Live and Sky Sports as a backing track for over a month now so they decided to put it out. 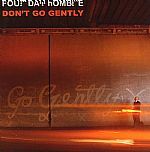 Available as a limited edition (750 only) numbered seven inch and download only, 'Don’t Go Gently' is taken from Four Day Hombre's searing debut album 'Experiments in Living'. 'Don't Go Gently' is a surging piece of emotionally complex guitar pop with relentless hooks. 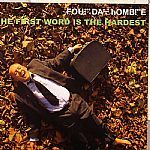 It expertly showcases the controlled abandon that makes Four Day Hombre so special: from its crashing entry to its gently waltzing coda, it is an uplifting joy from start to finish. 'Give Me a Rocketpack and Show me the Moon', the vinyl B-side, is a specially recorded track recorded mainly in the back of the van and between sound checks on their last Barfly tour. The release will be accompanied by a brand new animated video, produced in conjunction with the team for the two previous videos. 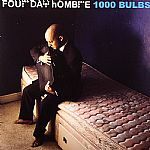 Both previous videos have featured heavily on MTV2, VH2, The Amp, E4 et al.